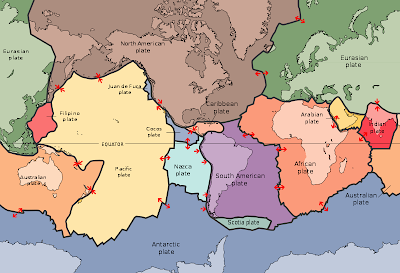 The recent Japanese quake -- and especially tsunami -- reinforce that Earth's Ocean is quite important and powerful. Therefore, understanding and mapping is key. 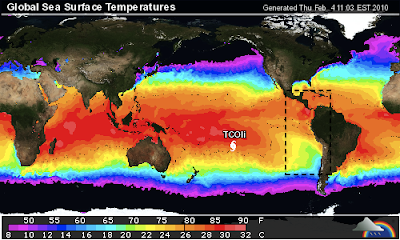 For starters, here's NOAA's map of large underwater features... This ocean floor is fundamentally composed of tectonic plates, which sometimes make sudden moves... The water's not uniform, of course, and has different temperatures and flows. 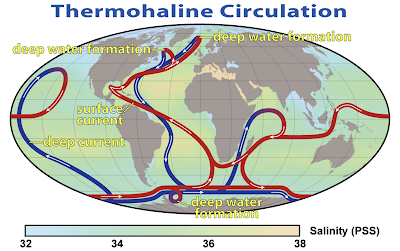 Here's the summary path of Thermohaline Circulation -- a.k.a. the Great Ocean Conveyor -- with blue representing deep-water currents, red representing surface currents... 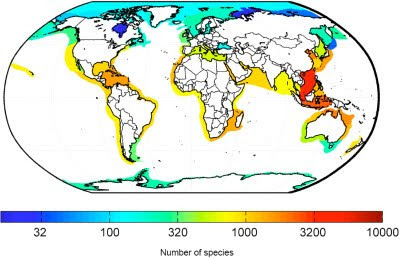 Surface Oceanic Circulation Patterns influence trade and weather alike, with East Coasts tending towards warm ocean currents and West Coasts dominated by cold ocean currents... Sea Surface Temperatures (SST) in normal years shows cold water upwelling in the boxed areas, a source of nutrients which enables rich coastal fisheries... 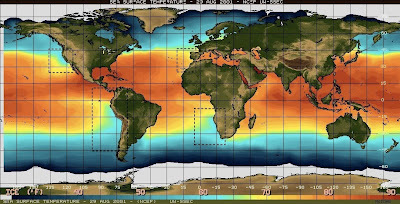 But this February 2010 image shows an El Niño year where coastal upwelling slows considerably -- note here off Peru -- meaning nutrient flux drops, plankton plummet, and thus fishing yields collapse... 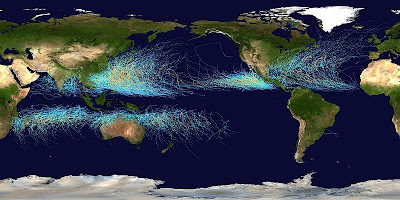 These surface patterns combine with atmospheric dynamics to source powerful cyclonic Typhoons worldwide... Marine species are widely but unevenly distributed around the world’s coastlines... 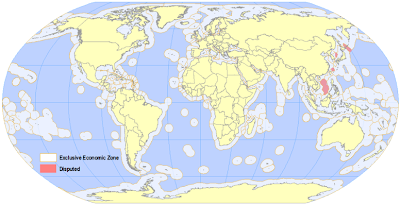 The contest over these riches continues, with the Law of the Sea enabling nation-states to claim Exclusive Economic Zones (EEZ) reaching 200 nautical miles (370 kilometers) out from coastline... 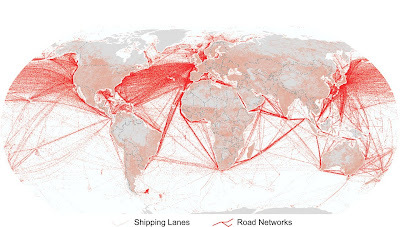 So it should be no surprise there's growing deep-sea fishing on seamounts and ridges including in the high seas... And, last but not least, the Ocean's a prime mover of goods for us all!